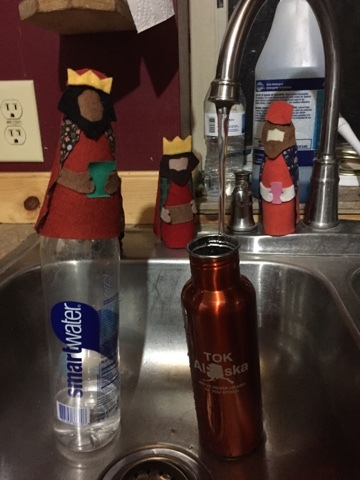 The wisemen are packing up and getting ready to go. Of course, since most of their trip is across desert, they know the importance of bringing water. Since Tok water is the best and they don't want to have to pull a Bear Grylls if they run out, they are bringing extra big bottles.